I remember watching You’ve Got Mail 10 years ago and the thing that really piqued my interest more than the romance of the film was Kathleen Kelly’s tiny “shop around the corner” bookshop. You see, when I started the habit of reading, bookstores became my favorite stop every time I went to the mall. I remember when SM Megamall had this really huge Powerbooks branch with all of its hidden nooks and crannies for bookworms to read. I remember seeing the five-floor behemoth of Fully Booked in Bonifacio Global City for the first time. These were all lively places where I could get lost in, both in time and thought. For the most part, I find the Fully Booked branch in BGC to be the best place to get books. However, I continue to weep over the sad and sorry state of our bookshops becoming more like stationery stores, losing their character as places for books, while the idea of an independent bookstore is practically alien in the streets of Manila. But up north, in our country’s “summer capital,” is Mt. Cloud Bookshop, an independent bookshop run by Padma and Feliz Perez. Though Mt. 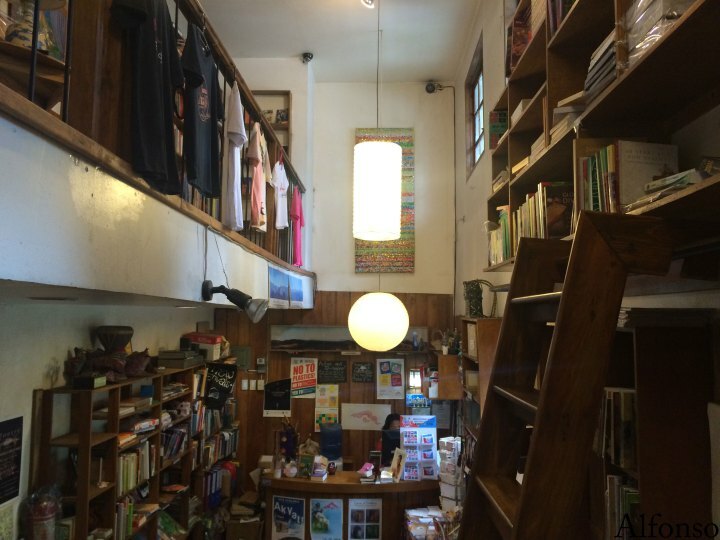 Cloud Bookshop is not as large as the bookstores in Metro Manila, it certainly brings a whole new dimension to Baguio. Of late, it has become my go-to place every time I drop by the city. I discovered the shop one evening, just before having dinner at the famous Casa Vallejo/Hill Station, and was attracted by the wooden furniture, the eclectic collection of knick-knacks, and, the best part of it all, a floor to ceiling ladder reminiscent of old libraries. The two-story shop is a perfect distraction and break from the hustle and bustle of the city. One can sit quietly and hide among the books and the shelves or just wander around the store looking at titles until something catches one’s eye. The shelves were brimming with titles that were all so new to me. Topics on the Cordilleras, the Ifugao’s and Ilokano culture all have their own space in this book lovers haven. As I browsed their collection, I spied upon books from other countries that I had only heard in passing, and some caught my eye and interest. Normally I would have gone through the whole inner debate of whether I should get a book or not, but the proprietor, Marisol, with her in-depth and extensive knowledge and her own anecdotes of the books, was most helpful. 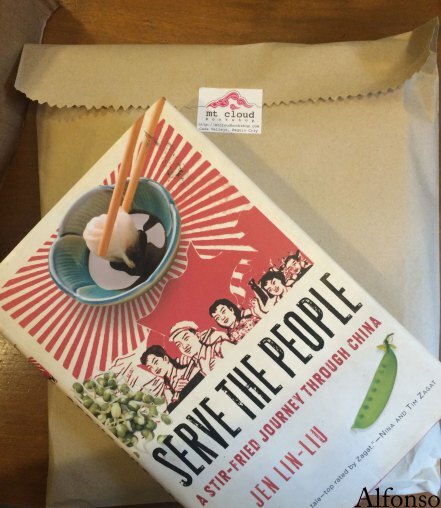 Her genial smile and bookworm aura convinced me into buying not just one but three books: Serve the People: A Stir-Fried Journey Through China by Jen Lin-Liu, Dawa: The Story of a Stray Dog in Bhutan by Kunzang Choden and Mythspace Volume 1 by various authors.